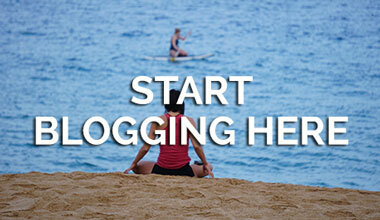 Diverse is a word that comes to mind when thinking of Ethiopia. Its international image of famine and dry desert is far from this authentic and varied country. 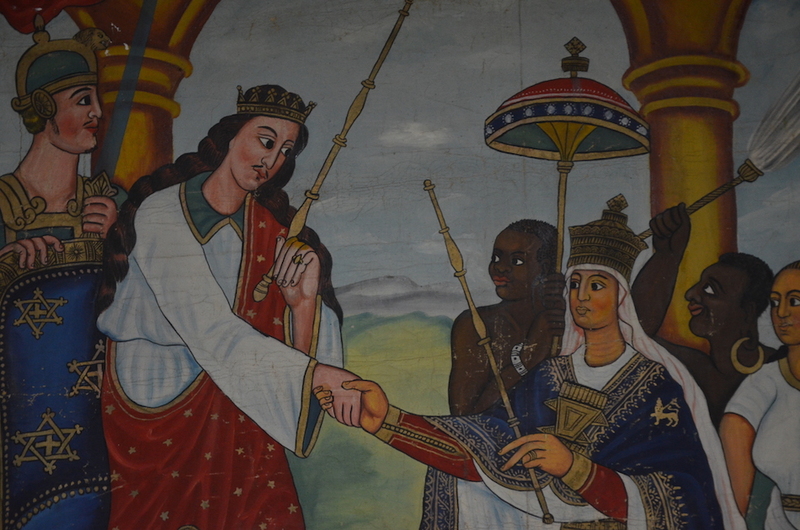 Its complex culture, and long ties to Christianity, makes Ethiopia a fascinating country to visit. 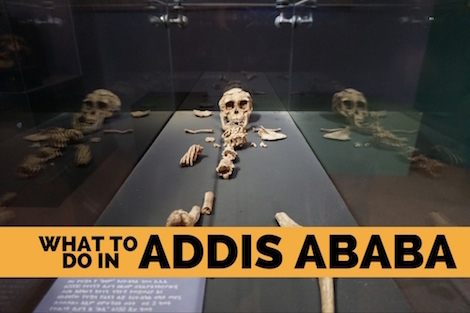 Home to centuries old rock-cut churches and archeological finds, Ethiopia is known as the cradle of humanity, due to a 3.3 million year old specimen named Lucy being found near an Ethiopian village named Hadar in 1974. Ethiopia is also the only African country to have escaped European colonialism. 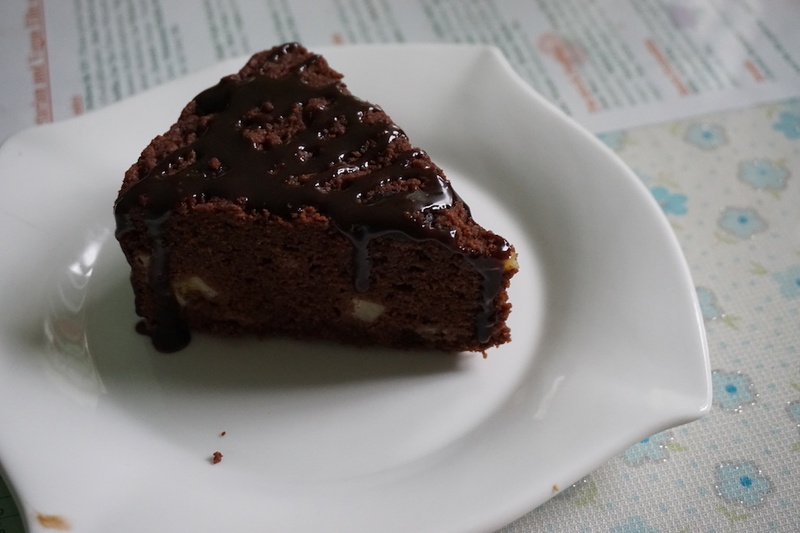 For this, it has retained much of its cultural identity. Historically, it has the longest archeological record of any country on earth. 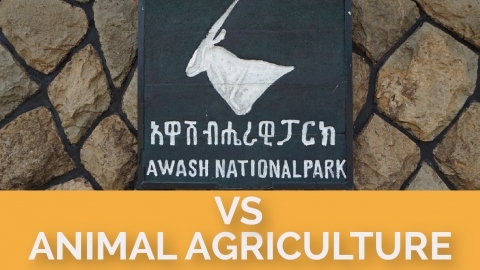 Ethiopia has so much tourism potential, yet it is visited by very few. It is the second country in the west, next to Armenia, to adopt Christianity. The churches here are hundreds of years old, and the locals take their orthodox Christianity very seriously. 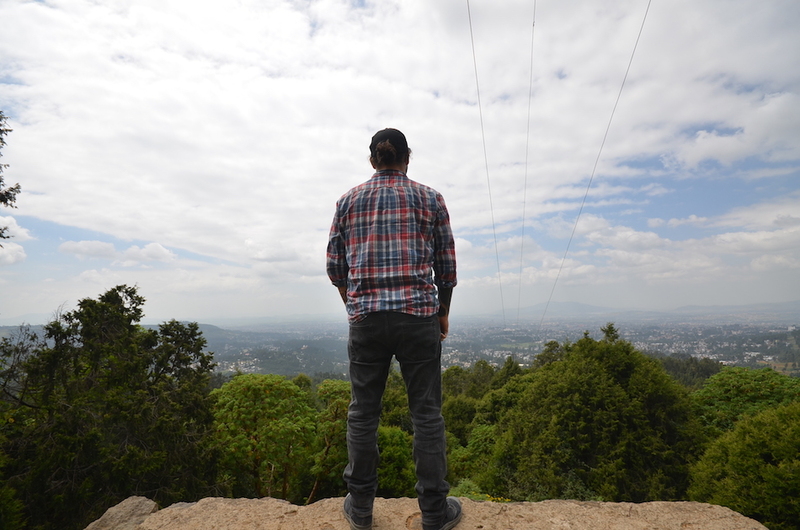 Cody and I had the pleasure of taking an Addis Ababa day tour with Abeba Ethiopian Tours. 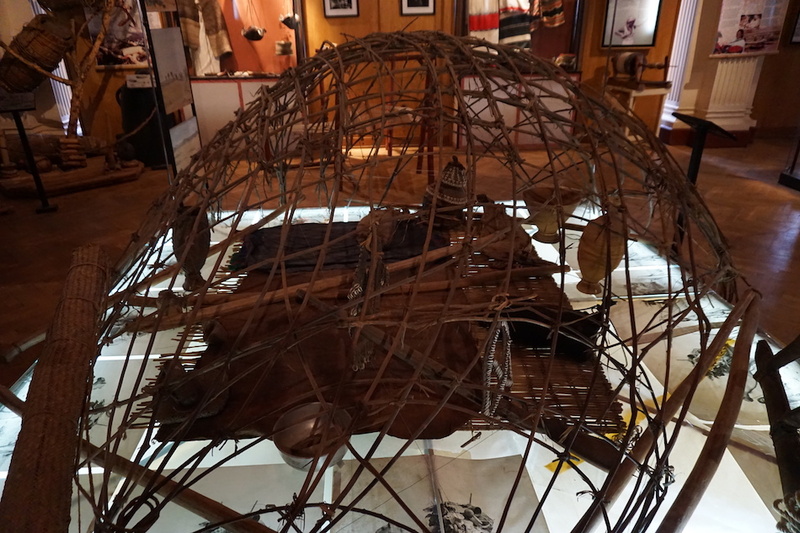 We had an amazing day learning more about the incredibly fascinating history of the country where humanity originated. 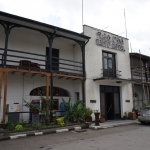 Our first stop was emperor Menelik II Museum, Entoto Maryam Church, and Menelik’s first palace. 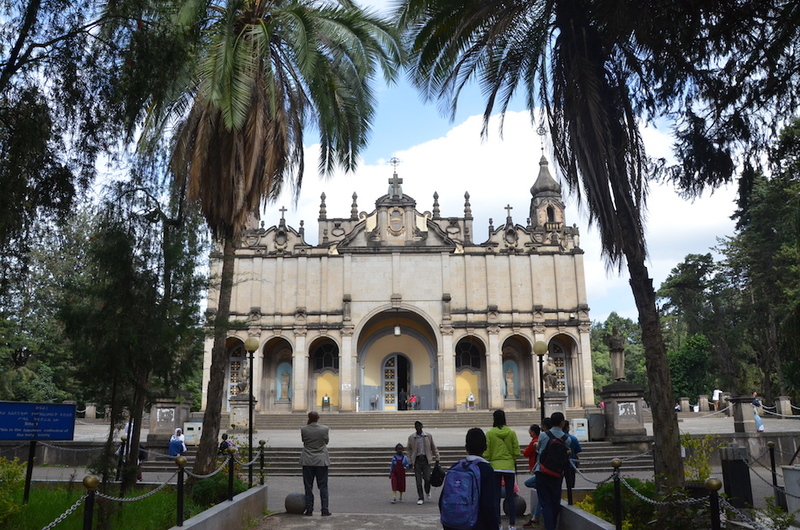 The museum, church, and palace all sit atop Mount Entoto, the highest peak overlooking the city of Addis Ababa. This area offers stunning panoramic views. 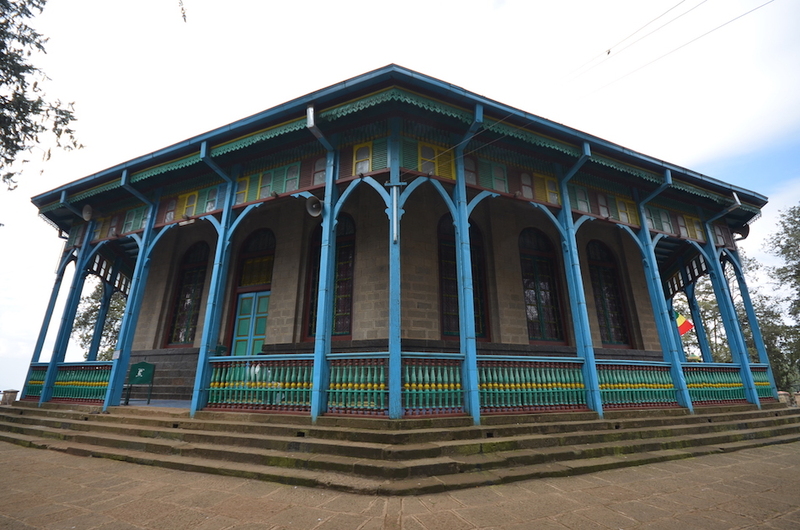 Menelik and his wife, Empress Taitu, built Maryam Church as a tribute to the Virgin Mary. We were able to enter the museum, and Menelik’s former palace, but the interior of the church was off limits to foreigners. We captured some photos of the exterior of the church which was quite vibrant and painted in the colours of the Ethiopian flag. 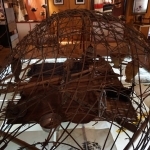 The museum was filled with religious artifacts, photographs, furniture, and the Emperor and Empress’ personal belongings-including gold and jewel encrusted crowns, velvet sequined parasols, and lavish ceremonial robes. Unfortunately, we were not permitted to take photographs inside of the museum. During our visit we learned how deeply rooted symbolism is in Ethiopian Orthodox Christianity. 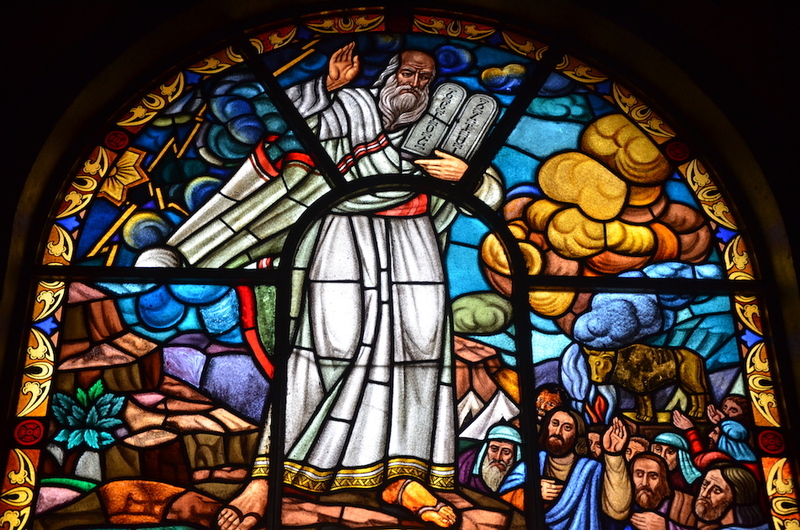 From the intertwined lattice style hand crosses representing everlasting life, to 12, 10, and 5 string instruments representing the 12 apostles, the 10 commandments, and the 5 nails of Jesus. Every aspect of the religion is extremely in-depth and detailed. Emperor Menelik deliberately built his palace overlooking the entire city to have a better field of view to fend off enemies. The palace is not what you would expect of an emperor, as it was humbly constructed with mud and wood, but it is still a beautiful high ceiling structure that blends in beautifully with the surrounding nature. 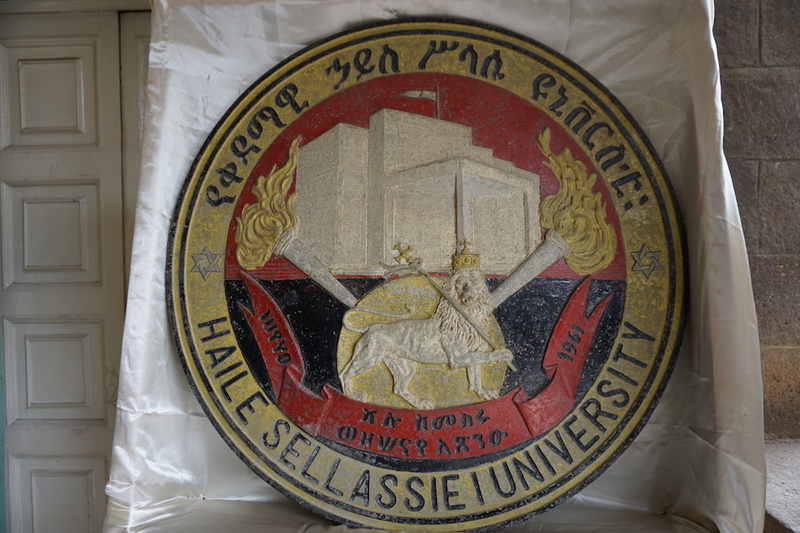 Next up, we visited the Ethnological Museum, set within Haile Selassie’s former palace, and also home to beautiful fountains and gardens surrounding Addis Ababa’s main university campus. 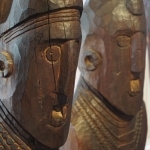 Even if you are not big on museums, this one is a worthwhile visit. 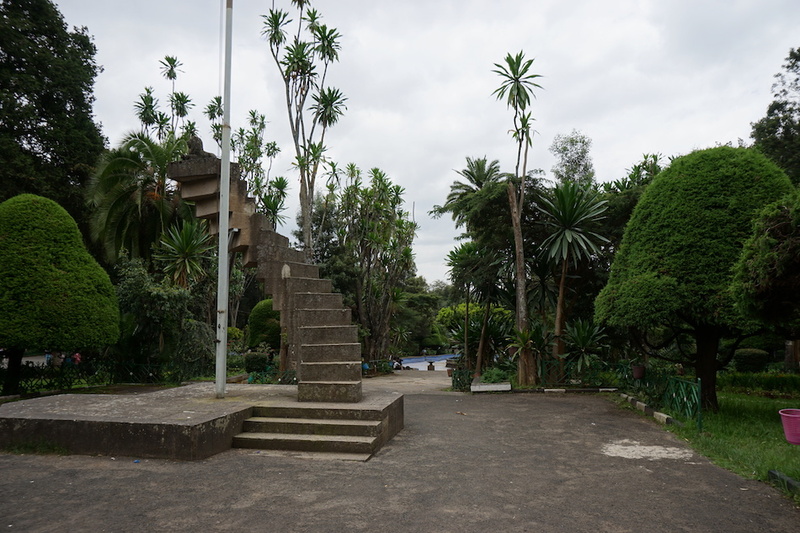 Before you enter the museum, you may notice a concrete spiral staircase leading to nowhere constructed by the Italians during their fascist rule of Ethiopia. The lion of Judah (a title of Selassie) now sits triumphantly on the top stair. 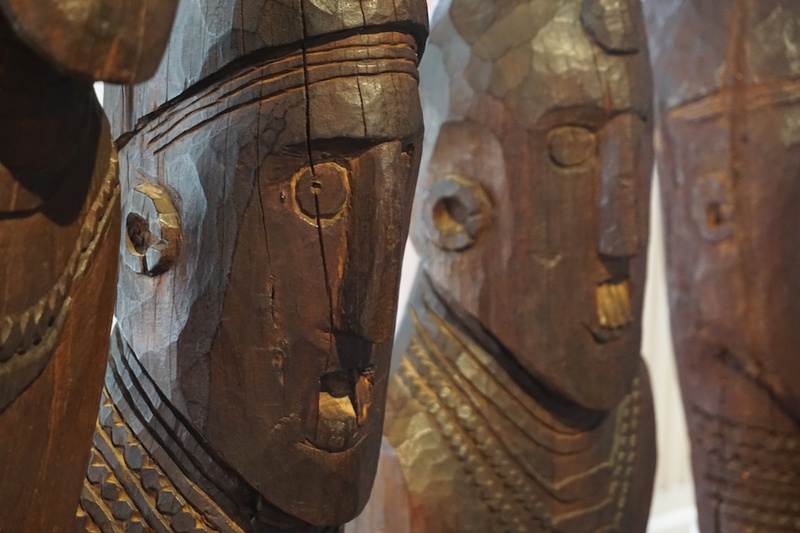 The 1st floor holds incredible handicrafts and artifacts from Ethiopia’s many ethnic groups. 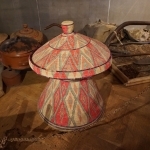 Photos displayed show the beautiful ancient tradition of scarification, old meticulously designed jewelry inspired by Yemeni nomads sit in glass cases, and the longstanding tradition of coffee production and coffee ceremonies is also on display. 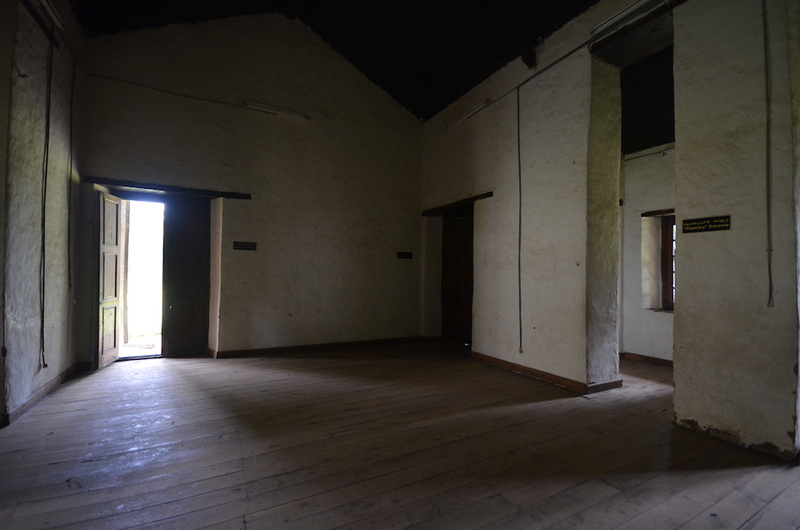 The 1st floor also contains emperor Haile Selassie’s bedroom, and bathroom. If you look closely at his standing mirror, you will notice there is a chip where a bullet made contact. This bullet was meant for Haile Selassie during an attempted assassination and coup in 1960. The 2nd floor contains vibrant religious folk art, hand crosses, scrolls, icons, and a smaller enclave room filled with beautiful old traditional instruments. 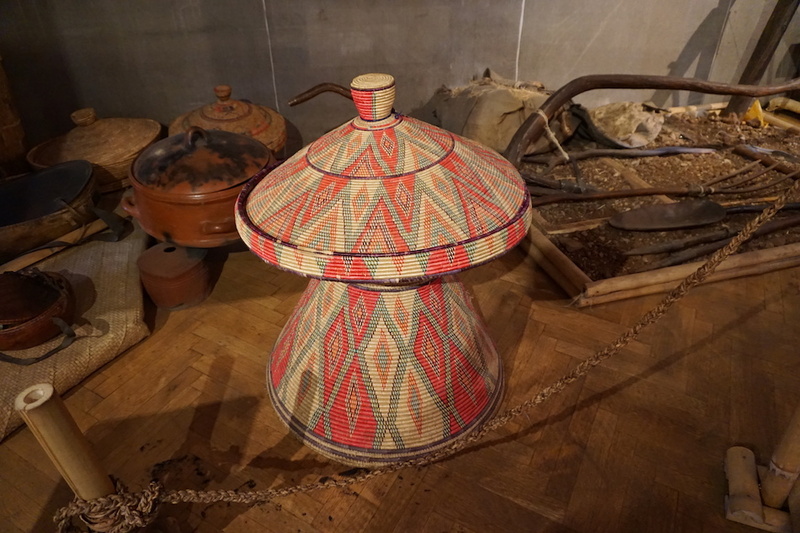 The Ethnographic Museum gave us a wonderful understanding of Ethiopia’s rich traditions. Next up was the National Museum of Ethiopia where the fossilized bones of Lucy, the 3.2 million year old hominid, are housed. 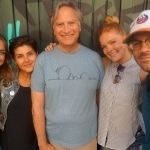 Lucy acquired her name after the British excavation team repeatedly played the Beatles song “Lucy in the Sky with Diamonds” in the evening celebrating their discovery. 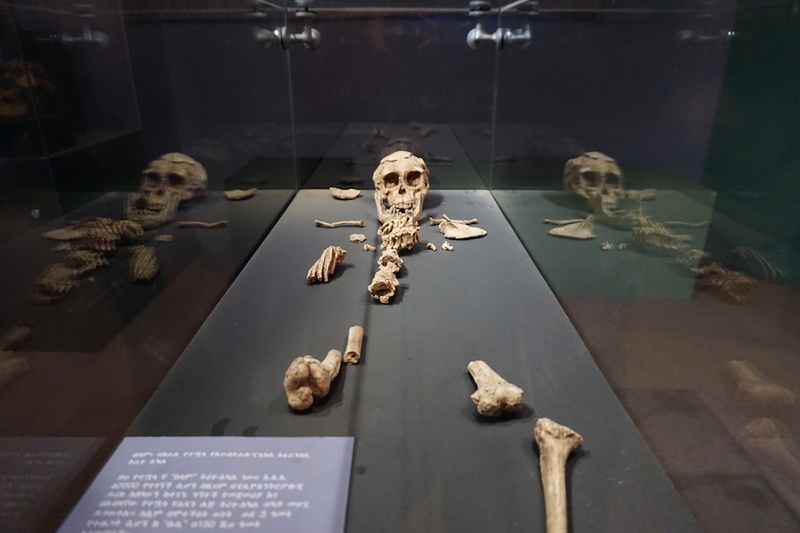 Discovered in 1974, Lucy is our early human ancestor, and next to Selam (a 3 year old female hominid) is the oldest, and most complete (40% of a whole skeleton) fossil of an early human ever found. She stands much like she did 3.2 million years ago. Lucy is small in size, but her presence is remarkably large. 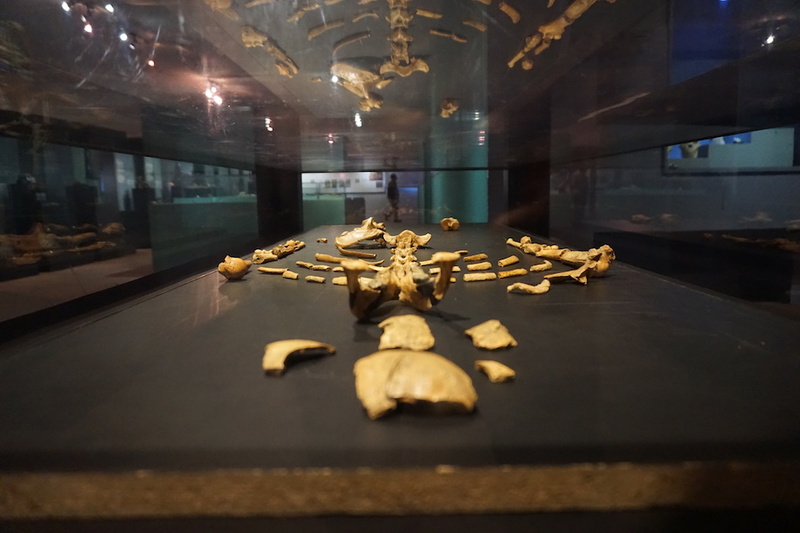 The “real” Lucy is stored in a specially constructed safe, and is kept in the Paleoanthropology laboratories of the National Museum of Ethiopia. 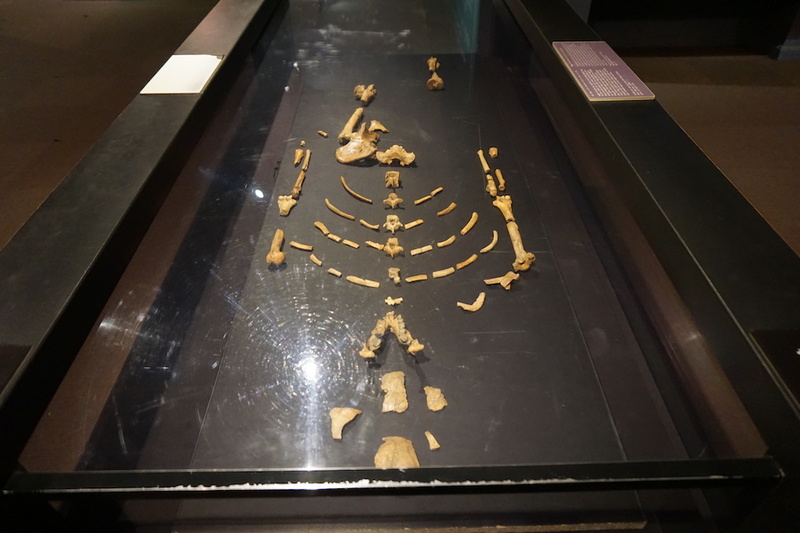 It was incredibly exciting to see Lucy in the flesh (so to speak), as she re-wrote the story of humanity, and is arguably the most famous of all early humans. 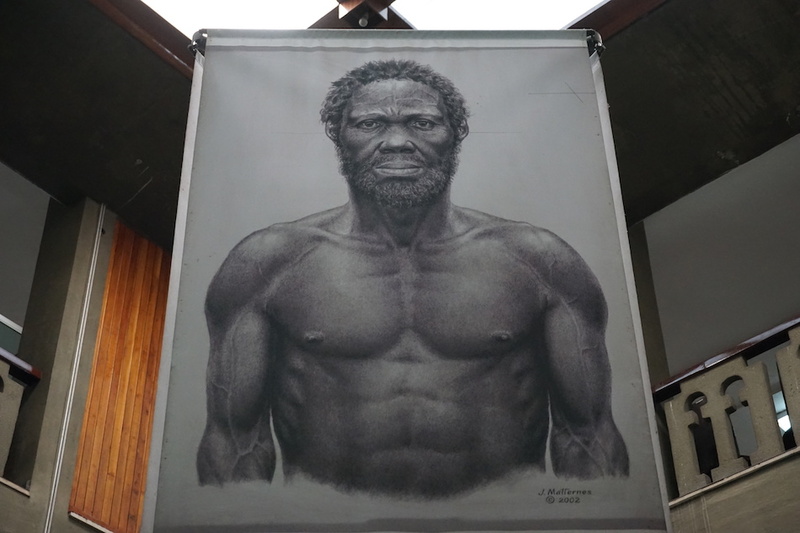 The hominid had a much smaller skull than today’s humans, and walked upright, strengthening the belief that walking was one of the key elements driving human evolution forward, and proving that the first hominids did not need bigger brains to take the final steps away from apes. 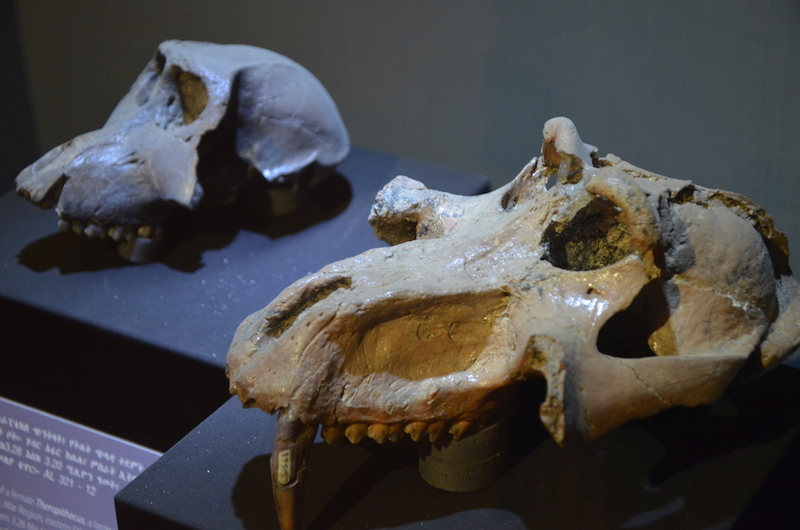 Besides Lucy, and other fascinating fossilized evidence of extinct creatures, the collection at the museum is one of the most important in sub-Saharan Africa, and includes a large selection of ancient artifacts, luxurious royal items, Ethiopian art ranging from the 14th century to the 20th centuries, and pagan arts and crafts. 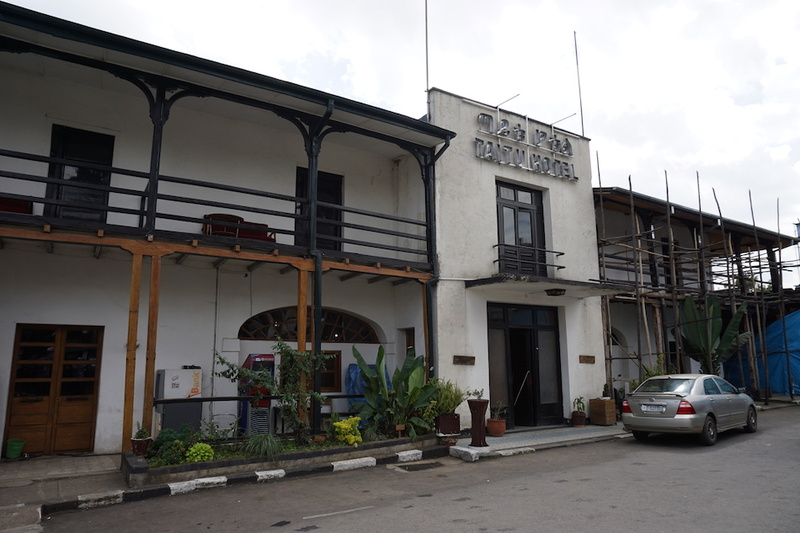 The National Museum of Ethiopia should not be missed if you happen to be in Addis Ababa. We walked around Addis Ababa quite a bit during our visit, probably accumulating over 20-30km and working up our appetites. 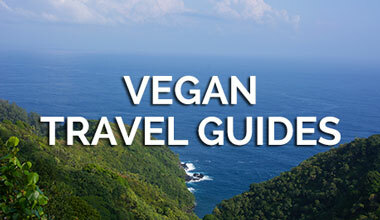 Luckily, eating vegan was extremely uncomplicated. 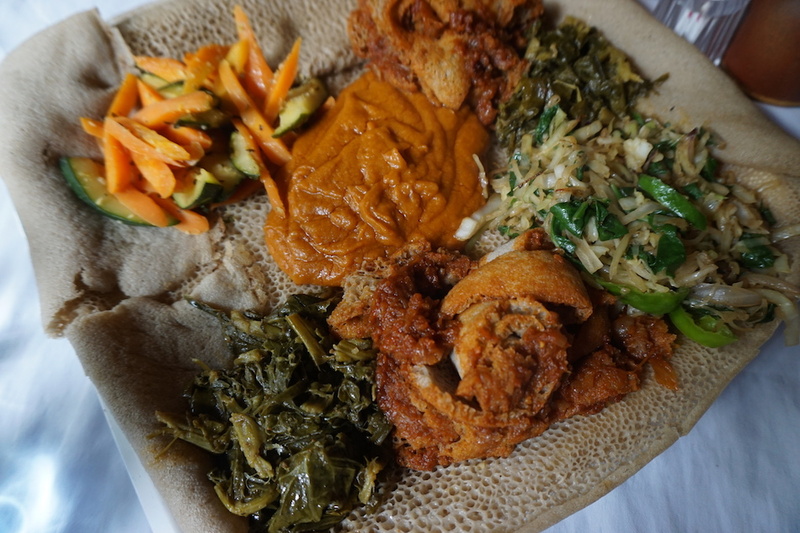 There are 180 fasting days that are obligatory for all observing Orthodox Christians, and traditionally, every Wednesday and Friday of every week, Orthodox Christians in Ethiopia fast; this means there is an abundance of plant-based food anywhere you go. 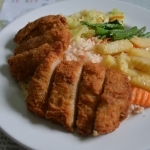 Fasting includes consuming plant-based foods only, so it is pretty easy to find food containing no meat, eggs, or dairy products, (although you have to be careful of honey in fasting sweet breads), no alcohol, (does not apply to tourists) and no sleeping with your husband or wife (also does not apply). 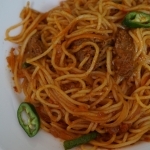 Even if you visit a restaurant on a non-fasting day, you just have to ask for the fasting menu. Better yet, if you visit during lent, you will have more than enough time to enjoy all of the vegan food, as the fast lasts for 55 days! 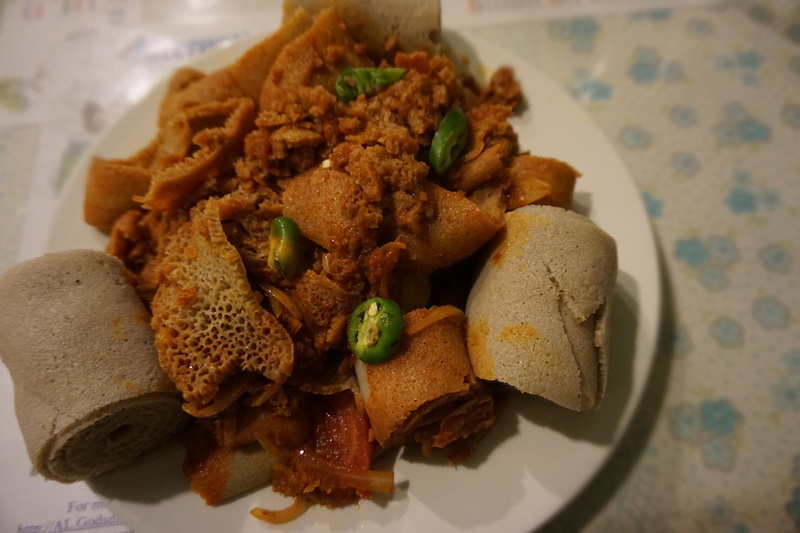 Ethiopia is well known for injera, a spongy sourdough flat bread made from tef. 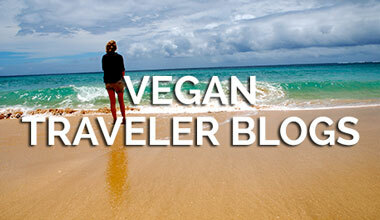 It is naturally vegan and quite filling when scooping up all of the delicious bits of food with it. 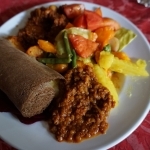 Injera is a utensil in Ethiopia, as it is used instead of forks, or spoons, and it is eaten with everything. 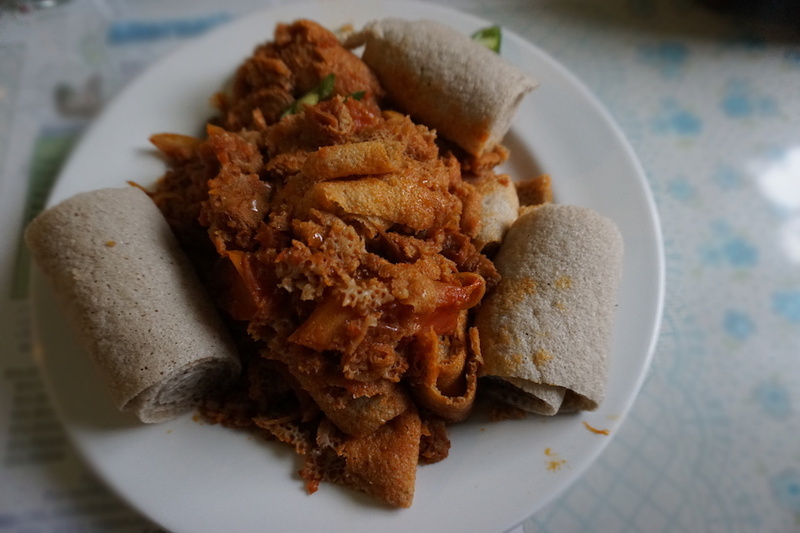 Ethiopians even eat injera with injera. 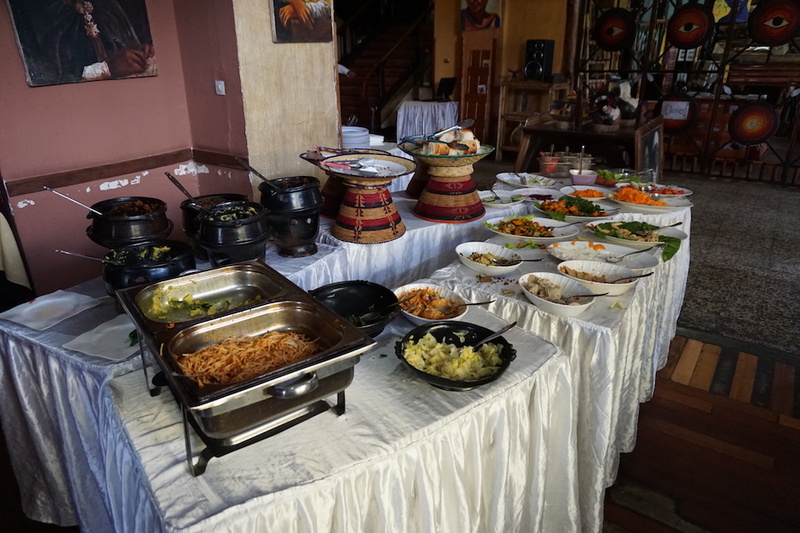 We were spoiled in Addis Ababa with all of the food we had to choose from. 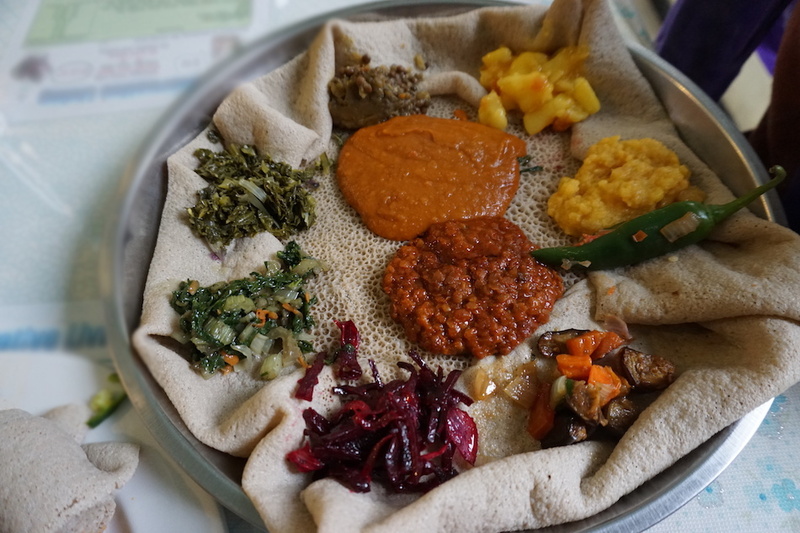 Cody and I enjoyed a beautiful slow cooked chickpea and broad bean paste called shiro, split red lentils simmered in a spicy red sauce, cabbage, carrots, and potatoes, string beans sautéed with caramelized onions and carrots, and collard greens and spices. 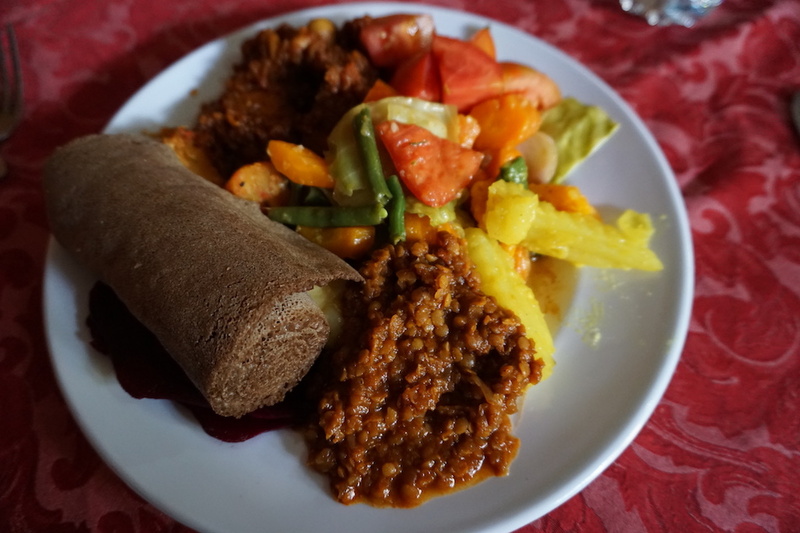 All served with injera. 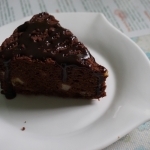 We also visited Loving Hut in the city a few times and had a crispy soy cutlet with rice, a cold Mexican wrap, spaghetti and tomato sauce, a very delicious soy meat hamburger with tomatoes, onions, mayo, ketchup with fries, and a quite a few slices of rich chocolate cake. 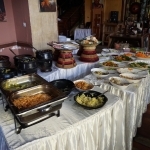 Taitu Hotel offers a vegan lunch buffet everyday from noon to 2:30 in Addis Ababa. At $5, you cannot go wrong. 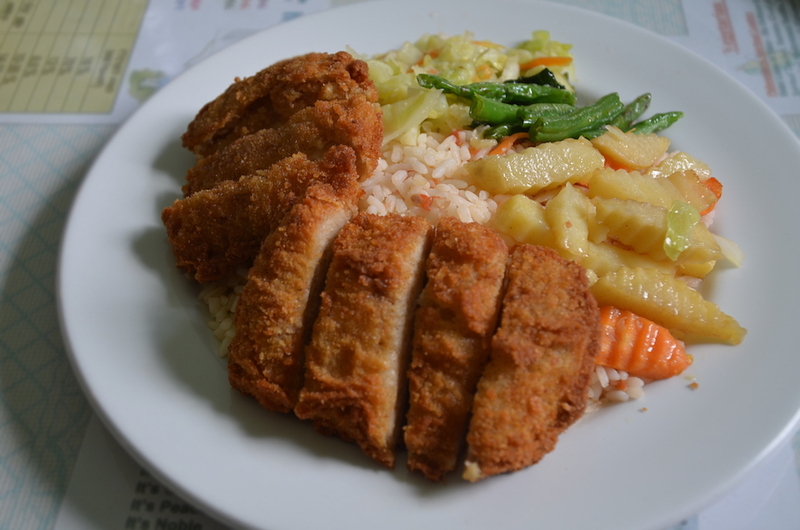 It was fresh and delicious, so we were repeat customers. You can even find a phenomenal fasting macchiato made with soy, or sunflower milk at Tomoca, a family owned coffee roasting coffee company in Addis Ababa. The coffee beans are roasted on site. Sit, people watch, and savour your dark, rich, and flavourful Ethiopian Java. 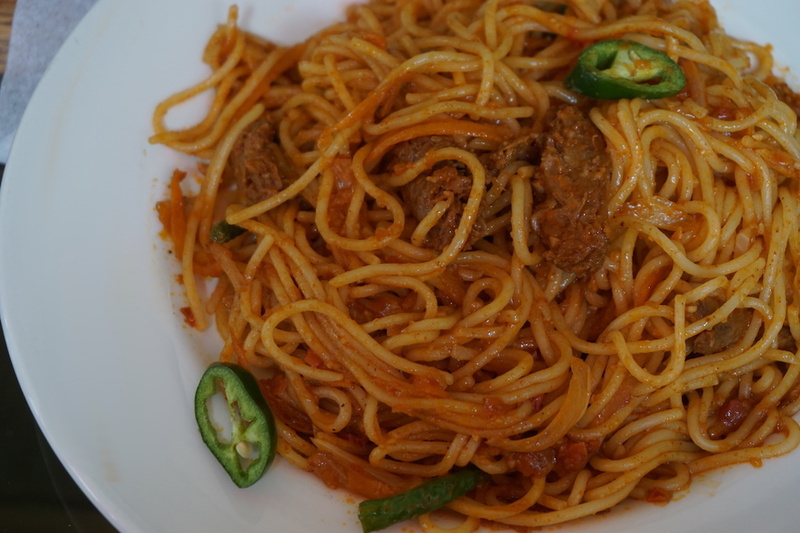 If you choose to stay in the capital of Ethiopia before venturing out to more rural areas, be sure to give yourself a few days in Addis Ababa to enjoy the cuisine, some of the best coffee in the world, and the incredible Abyssinian history.